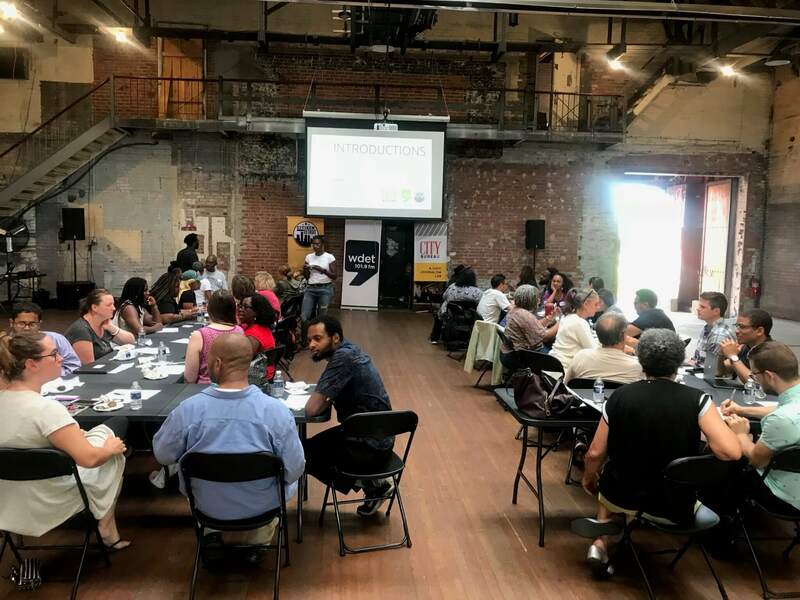 WDET and City Bureau received a second Detroit Journalism Engagement Fund grant of $76,000 to expand the City Bureau Detroit pilot, a citizen journalism and local media partnership focused on increasing coverage of Detroit’s public meetings. City Bureau is a Chicago-based nonprofit journalism lab that trains journalists to produce locally responsive coverage. Citizen Detroit and WDET have reached out to organizations and individuals to spread the word about the Detroit Documenters program. The program has trained dozens of documenters and completed 24 assignments at education-focused public meetings. Documenters, who act as the eyes and ears of the public, are assigned in pairs, one for note-taking and the other for live tweeting using the Twitter hashtag #detroitdocumenters. The documenter program, initially launched in Chicago, allows more Detroit residents to learn about developments from public meetings. The project received a $50,000 grant in its first year.